Somebody in IRC posted a link to a great Valentine's pic & I thought I'd share it. 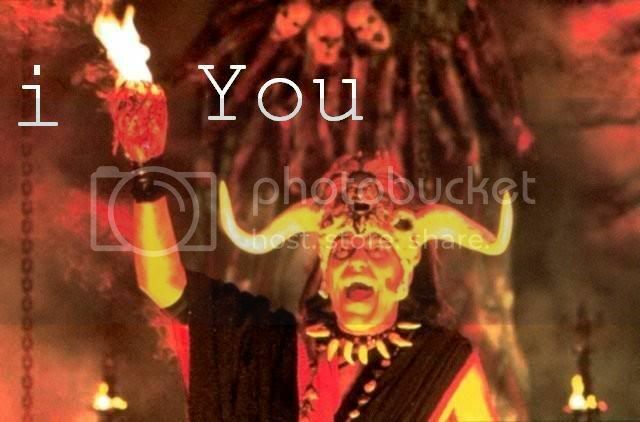 If you can't figure out where this comes from it's the bad guy in Indiana Jones and the Temple of Doom (1984). Which also reminds me... I just saw Magnificent Warriors [Zhong hua zhan shi (1987)] last night starring Michelle Yeoh. It's kind of an Indiana Jones style adventure about the Chinese & Japanese meddling in a Mongolian country during WW2. If you like kung fu action flicks as well as their humor, you'll probably enjoy this movie.